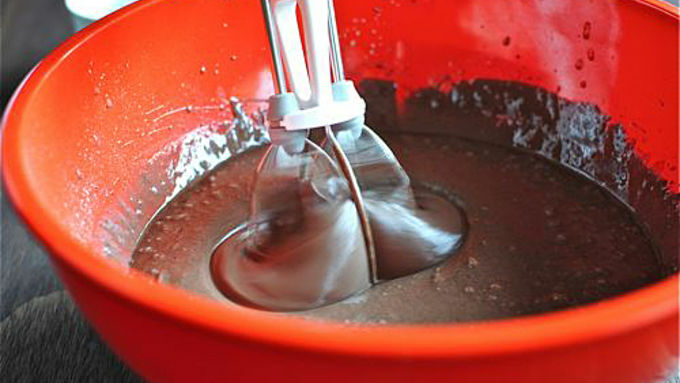 In a bowl, combine the cake mix, water, oil and the eggs. Beat for 2 minutes, or until smooth. Add the coffee and 4 tablespons Kahlua to the batter. Beat 1 more minute. Pour batter evenly into 8 coffee mugs, about 2/3rds high in each one. Bake according to box directions, or until done, about 25 minutes. Use a toothpick to check doneness. It should be clean. 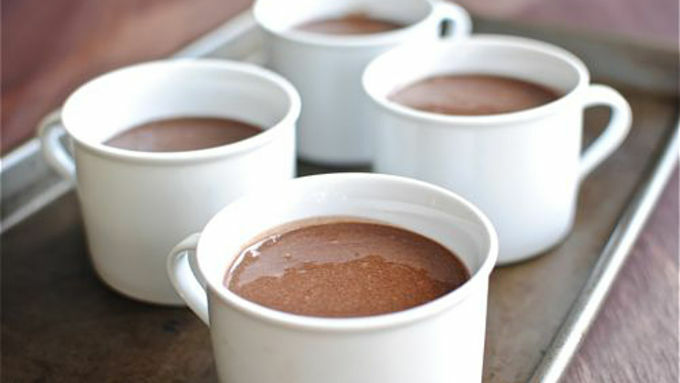 In a large bowl, beat the cream with the Kahlua until it forms soft peaks. Pour the frosting into a large plastic bag and cut a small hole in the corner. 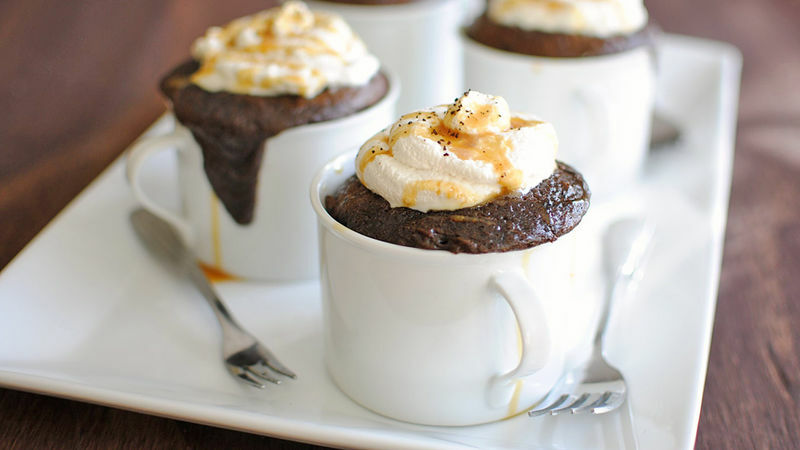 Dollop the frosting on top of each mug delight, drizzle with caramel sauce and sprinkle with coffee grounds. Sit down, because have I got a doozy for you. Oh and light some incense. This is going to rock your mind. I'm talking about Betty Crocker dark chocolate cake. I'm talking about dark chocolate cake that has a love affair with strong coffee. I'm talking about dark chocolate cake that has a love affair with strong coffee and then booze enters the room in a tuxedo and flowers and things get really hot. You think it stops there? It doesn't. Because then, THEN: that same tux-wearing booze brings some heavy whipping cream and OH. It's too much to even say. I would blush. But let me just share this with you: You. Serve. These. Delights. In. Coffee. Mugs. Need a cool rag? Here. This is so easy it would be embarrassing if you didn't make these for your next party. Or the next hour of your life. 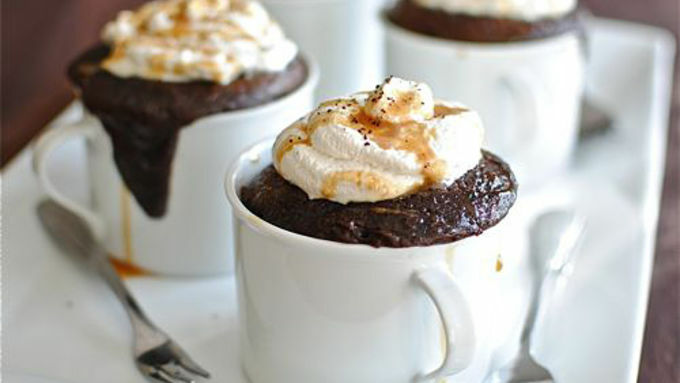 More Kahlua™ Recipes To Do Treat yourself to these Kahlua™ creations!